Stand up and work just about anywhere. 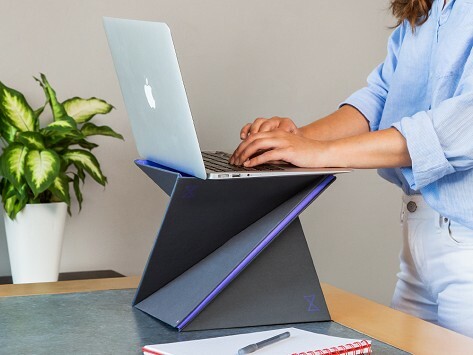 This foldable laptop stand sets up in seconds thanks to an origami-inspired design that folds flat when you’re done—perfect for carrying in a bag or stowing on a shelf. It’s lightweight, sturdy, and can support 20 times its weight. Water- and stain-resistant fabric boosts its durability and there are different sizes to suit different heights. Dimensions: Small: 9" x 9" x 9"; Medium 9" x 9" x 11.9"; Large: 9" x 9" x 14"; X-Large: 9" x 9" x 16.2"
Weight: Small: 1.3 lbs. ; Medium: 1.65 lbs. ; Large: 1.85 lbs. ; X-Large: 2 lbs. Folks in my office are so jealous, but at this price, anyone can have a standing desk anywhere they have a desk! I looove this product!! I just wish they made one that was a bit shorter ( I’d buy another one :) so I can use it for better posture when sitting. 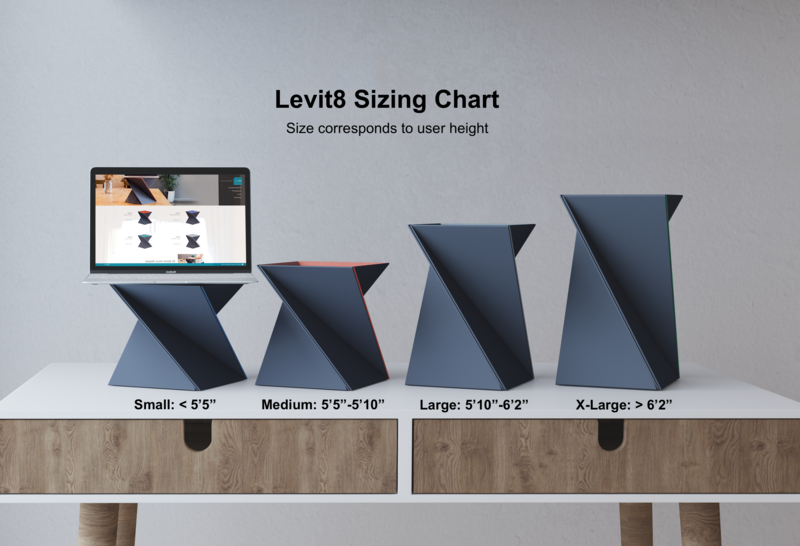 Levit8 was created by Singapore-based industrial designers Andriana Justine, Letitia Lim, and Poh Hui Qing. Their fold-and-go take on a laptop stand showcases their streamline approach to engineering solutions that make the everyday a little bit better.